There are multiple artists with this name: 1) Aim (real name Andy Turner) is a british musician, DJ and producer, who was born in Barrow-in-Furness, Cumbria. His father was a jazz drummer and instrument shop owner, and Turner followed in his fathers footsteps, also owning a music shop. It was here that he began to hone his skills on the decks, helping him to embark upon his musical career. Aim's sound is a blend of funky electronic music and hip hop beats, a sound which typified the Grand Central Records label. 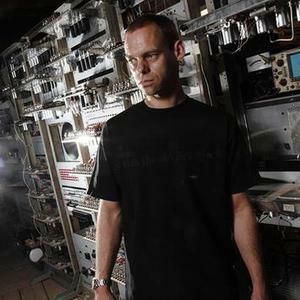 1) Aim (real name Andy Turner) is a british musician, DJ and producer, who was born in Barrow-in-Furness, Cumbria. His father was a jazz drummer and instrument shop owner, and Turner followed in his fathers footsteps, also owning a music shop. It was here that he began to hone his skills on the decks, helping him to embark upon his musical career. Aim's sound is a blend of funky electronic music and hip hop beats, a sound which typified the Grand Central Records label. He was discovered by Mark Rae and signed to Grand Central. So far has released three full length studio albums - Cold Water Music, Hinterland and recently Flight 602. He also released Means of Production - an album collecting together his early singles and two DJ mix albums (Stars on 33 and Fabric Live 17). Much of Aim's work is instrumental, though his records include collaborations with other artists who provide vocals, including Stephen Jones of Babybird, Diamond D, Souls of Mischief, QNC and Kate Rogers. Aim has also worked as remixer, mixing songs for a variety of artists including Ian Brown, Saint Etienne, The Charlatans, Lil' Kim, Thunderbugs, Archive, Down To The Bone, Texas and former label-mates Rae & Christian. In 2004, Aim produced the fellow ex-Grand Central artist, Niko's debut album, Life On Earth. Aim left Grand Central Records in early 2005 and formed his own record label, ATIC Records, in June 2005. The first album released on the label was Aim's Flight 602, which was released in September 2006. Niko has also signed to ATIC and will be returning Aim's earlier favour, by providing vocals for the new album. 2) aim ??? is a Japanese jrock/vk band formed in 2010. Their 1st single "LOST VOICE" was released on January 26th, 2011. 4) Aim was a Swedish punk band. 5) AIM Baltimore, USA MC and Producer Amy Houck. 8) ?? ?, real name Ai Maeda (?? ?/Maeda Ai), is a female Japanese seiyuu (voice actress) who is probably most well-known for singing many of the ending songs of the Digimon anime series and performing the role of Tachikawa Mimi in the first two seasons.